0	How Stable is Boston’s Flourishing Seaport? 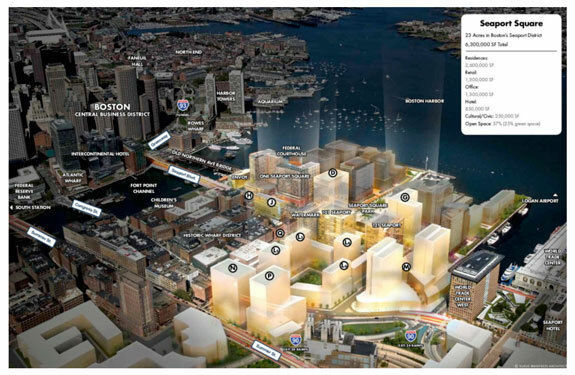 Boston’s Seaport will continue to be on the forefront by planning ahead as construction and development continues. Lower-Level and 1st-floor space is no longer used for utility infrastructure, developers and landlords. New projects house these systems on the 2nd floor or the roof, where appropriate. 290 Congress Street, owned by Boston Properties, utilizes a water fence that gets installed should it be necessary. To-date this has only been used once in March of 2018.
in this old city’s booming Seaport District, General Electric is building its new world headquarters, Amazon is bringing in thousands of new workers, and Reebok’s red delta symbol sits atop the new office it opened last year. Three businesses are testing self-driving cars, other dynamic companies are planting their flag, and trendy restaurants and apartments have gone up virtually overnight. But after bad flooding during a storm this past winter, critics wonder whether it was a bright idea to invest so much in a man-made peninsula that sits barely above sea level. Environmental activists warn much of the district, transformed from a wasteland of surface parking lots, rotting piers and abandoned rail yards into an economic engine and one of the city’s most expensive neighbourhoods in a matter of years, simply isn’t prepared for the long haul.